Our football writer previews the Africa Cup of Nations Qualifiers which take place on Saturday 8 September 2018. 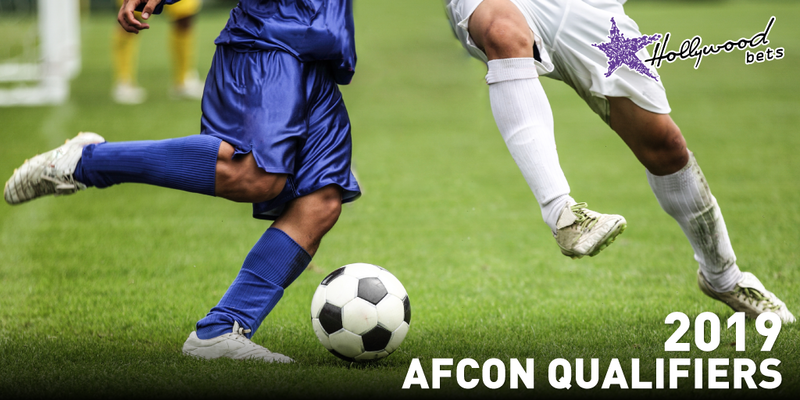 The second round of AFCON Qualifiers kicks off this weekend. After former African champions Ghana, Cote D’Ivoire, Cameroon and South Africa all enjoyed the World Cup as viewers and spectators but not participants, this is their chance to redeem themselves and look to conquer Africa once again. Cameroon will travel to the East Coast Island to take on minnows Comoros. The Indomitable Lions, who are the reigning African Champions, will host the AFCON 2019. After a disappointing World Cup qualifying campaign where they finished third with seven points in six matches under Hugo Broos, the former Belgium international was fired straight after that horrendous run and Clarence Seedorf was appointed as his replacement. Seedorf called former teammate and countryman Patrick Kluivert to be his assistant and their first task is to defend their African title on home soil. This should be easy for the Indomitable Lions against a lowly ranked side. Nigeria return to African football after being hurt by Argentina in their last match in the 2018 World Cup. It’s time to regroup for the Super Eagles as they look for their first win in the qualifiers after they lost their opening game to South Africa. This is a must-win game for Nigeria and I’m backing them to win comfortably. Over the years, South Africa has disappointed against lesser opponents and this encounter presents a golden opportunity for redemption. The team might be without the likes of Zungu, Kekana and Zwane, but the other midfielders are equally capable of producing the goods and Grobler’s current form will be key in terms of helping the national side produce the goods. My money is on Bafana Bafana. Ghana, who were regular contestants in the World Cup, missed out on the 2018 edition following their underwhelming qualifying campaign. The Black Stars come into this game as big favourites after they thrashed Ethiopia 5-0 in the first round. Since Kwasi Appiah took over the coaching position, the West African side have improved rapidly, coming into this game unbeaten in their last six outings. Thomas Partey and Emmanuel Boateng have worked well for the Black Stars with the duo scoring three of the teams last four goals. Back Ghana on the (-1) Handicap. Namibia take on 2012 African champions Zambia, with both sides coming off disappointing defeats. Zambian coach Sven Vandenbroek called up his best possible squad for this encounter with the Orlando Pirates duo of Augustine Mulenga and Justin Shonga expected to lead the frontline. There’s not much to separate these two sides as the head-to-head stats show they have both won four matches in the 10 games played between them. The form does, however, suggest that there aren’t too many goals scored when these two teams play each other, with only three goals scored in the last three games. As the form suggests, back Under 2.5 Goals. Gambia welcome star-studded Algeria in the second round of AFCON 2019 qualifiers. The Fennec Foxes had an underwhelming World Cup qualification campaign which saw them clinch no more than two points in six games. Coach Rabah "Mustapha" Madjer was sacked and Djamel Belmadi was appointed as his replacement. Belmadi has brought in only two new faces from the previous squad – the Metz duo of goalkeeper Alexandre Oukidja and midfielder Farid Boulaya. Manchester City’s new signing Riyad Mahrez headlines the team which has no player from the Algerian Ligue 1. Back the visitors on the (-1) Handicap. Egypt, who made their first World Cup appearance in 28 years, were rather disappointing in the finals after the Pharaohs lost all three of their matches played. That run was the end of coach Hector Cuper, and the experienced Javier Aguirre, who coached Mexico in 2010 and Japan in 2014, was appointed as the new boss. Aguirre made some interesting changes on his first stint to African football, leaving out defensive duo Ahmed Fathy, Mohamed Abdel Shafy, and midfielder Abdullah Said. Despite having some issues with the Egyptian FA, Liverpool forward and team captain Mohammed Salah will lead the team once again alongside Arsenal midfielder Mohammed El Neny, Sam Morsy of Wigan Athletic and Ramadan Sobhy, who plays for Huddersfield Town. We all know what Aguirre is about so back Egypt to win Both Halves. Morocco made their first World Cup appearance since 1998 in Russia and they were drawn in a tough group which consisted of European heavyweights Spain and Portugal. The Atlas Lions did not disgrace themselves on the biggest stage and were rather impressive though as they lost their matches narrowly. Herve Renard remains head coach despite rumours that he will vacate his position after the World Cup. Interestingly, Renard snubbed captain Medhi Benatia, but the Juventus defender is not the only surprise exclusion as the French coach also left out in-form Al Ahly striker Walid Azaro, who has been banging in goals in the CAF Champions League. Morocco should still be too good for Malawi at home. Back the Atlas Lions on the (-1) Handicap.